Perrin's teachings strike the perfect balance of mental practice, emotional posture, and physical skill to empower you to create compelling, vivid, and memorable paintings that reverberate with poetry and emotion. Become a “Poet in Paint” - Learn how to set the mood and execute the exquisite subtleties that are the essentials of painting. Combining the best of the Masters with the empowering principles of the Law of Attraction, Perrin will take you through the steps to painting Nirvana, Unleashing your Artistic Powers in ways you never imagined! “Dennis, your method has begun to solve my longstanding issue of color vs value. I had been taught value comes first, but was still not clever enough to keep my values separate on the palette. I paint mostly chiaroscuro and in the particular style I was familiar with, shadows were to be mysterious and transparent. Except for the odd reflected light or translucent effect, shadows were mostly left to themselves. There is very little value or color done in shadows other than right around the transition. I love how alive your shadows become! I never liked my paintings not done with the dark shadowy background. Now I realize how to handle higher key paintings and make them interesting! Play with the shadows! Your method will be terrific whatever the style in which I choose to paint! I am so happy you share all your wonderful insights with students! I found your first online class in December 2015. I have signed up for every subsequent class and will do so for your next one. You and the other students have been my own wonderful armchair art workshop for over a half a year! And you all feel like supportive friends. And I hope you continue to offer classes on any subject you can dream up!” – V. E.
"Dennis' teaching technique is well organized and gets to the point in producing a great painting. It's one of the best workshop investments I've made!" – C. L.
Learn how to design and compose powerful paintings that will leap off the wall and grab the attention of anyone who views them. Find out what makes a painting great, and how you can apply it to your own work. Discover the secret Source of creative wealth that you already possess and can learn to tap into, making the process of painting an experience of joy and satisfaction. Unlock the Artist that lives inside you and become the Artist you already know yourself to be. For perhaps the first time, learn what it means to become truly Creative through the powerful Law of Attraction. 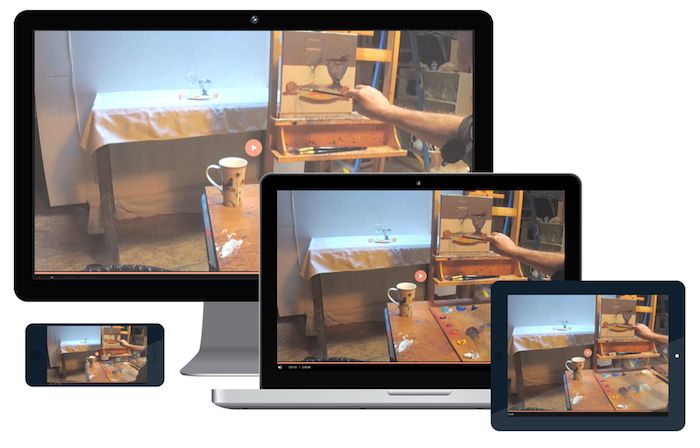 Come into possession of The Perrin Method™, a process that will make painting easier and more enjoyable than you ever thought possible. 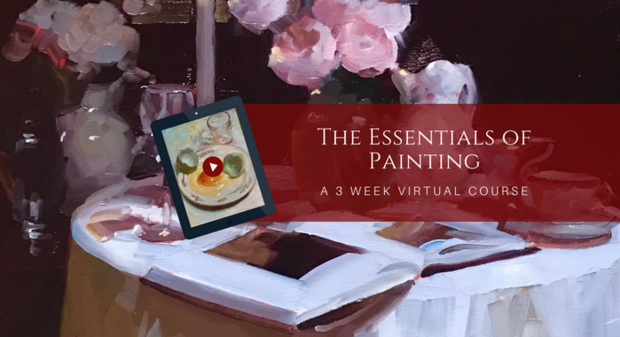 An online course with Dennis Perrin and The Perrin Method™ is comprehensive experience on how to think about painting, where a painting comes from, a self-examination of the question "Why Paint,?" as well as a thorough exploration of color, value, temperature, technique and materials.